Ice coats the aspen trees high upon the Bierstadt Moraine on a cool but beautiful start to the day in Rocky Mountain National Park. 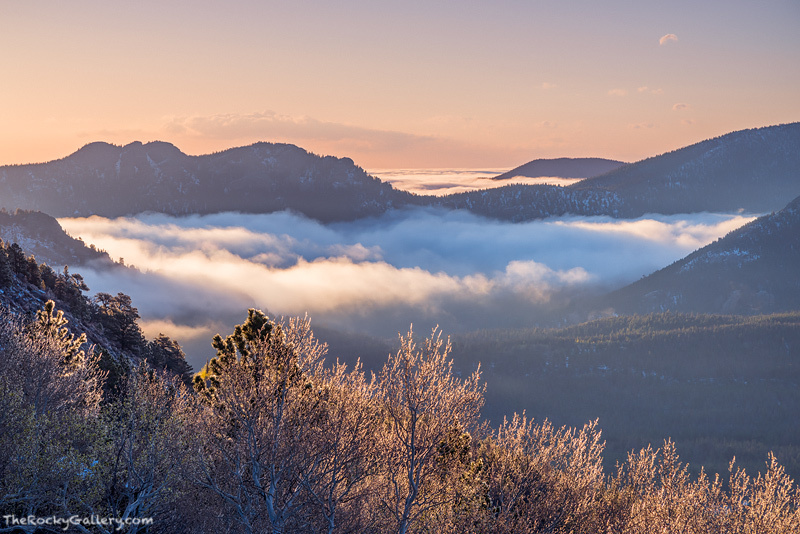 Fog fills the valley to the east but not enough to obscure Rams Horn Mountain as the sun casts a subtle warming glow on the landscape. Photo © copyright by Thomas Mangan.